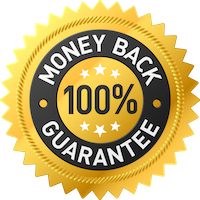 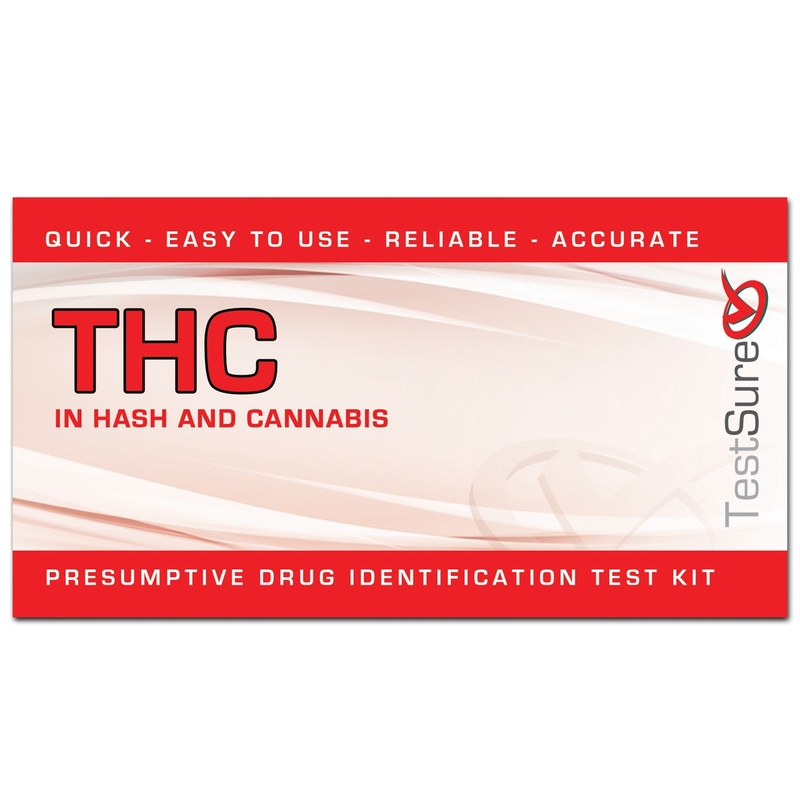 TestSure’s presumptive THC test kit was designed to help you identify marijuana’s active ingredient THC is present in hash, oil, or a substance resembling marijuana. 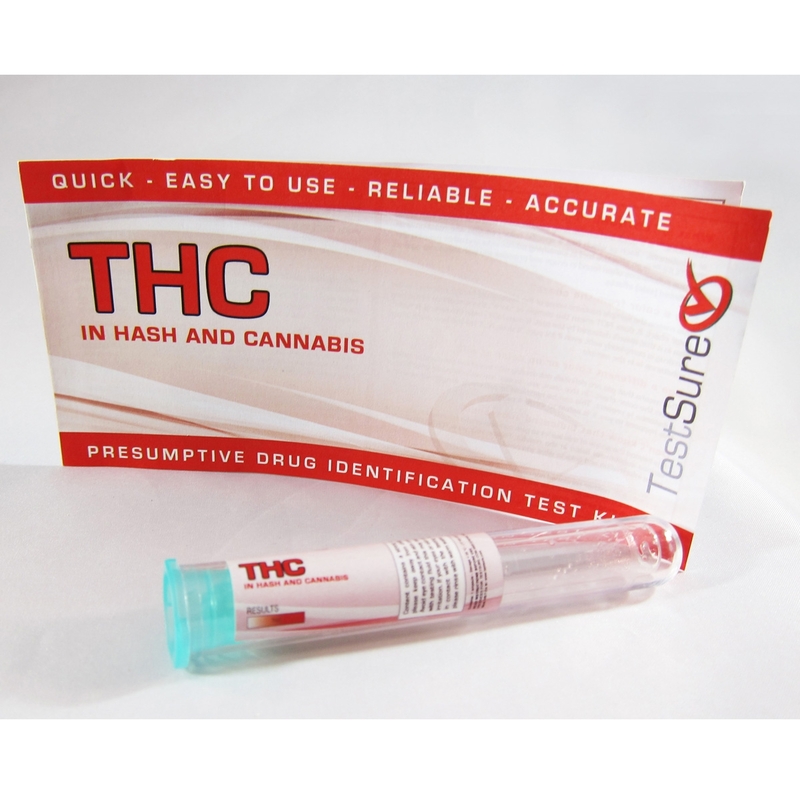 THC is the active ingredient that causes the side effects of marijuana and marijuana products. 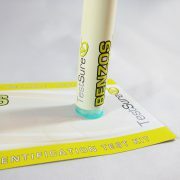 It causes drowsiness and memory loss, and can be harmful if abused. 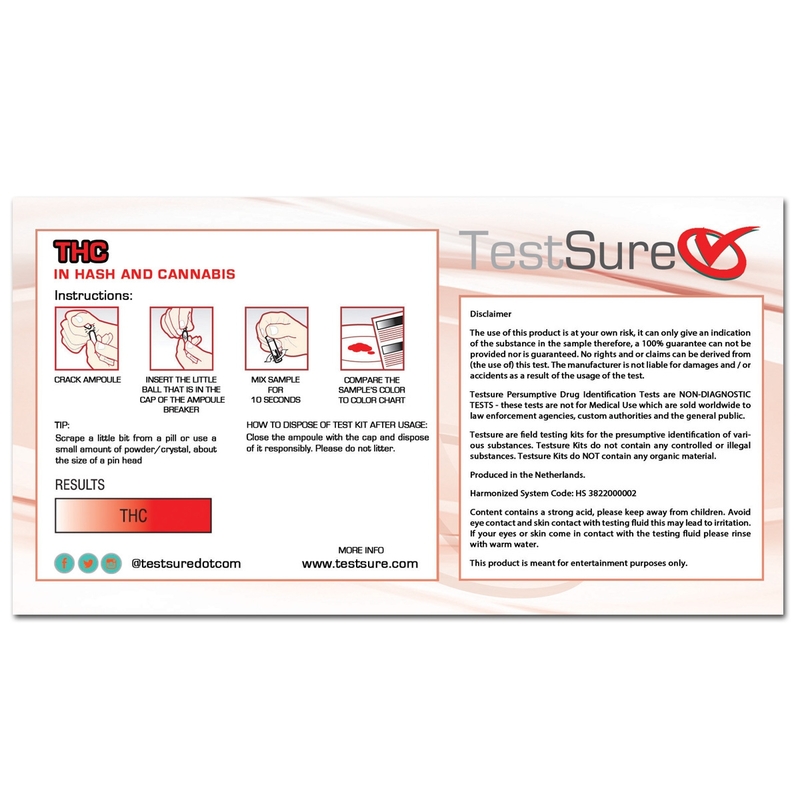 Our THC test kit is the same test kit used by forensics and drug enforcement agencies to determine whether or not a substance has THC. 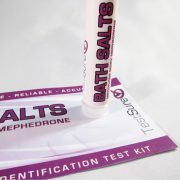 The test kit comes with instructions and is extremely easy to use, and you’ll know within minutes if a pill is in fact benzodiazepine. 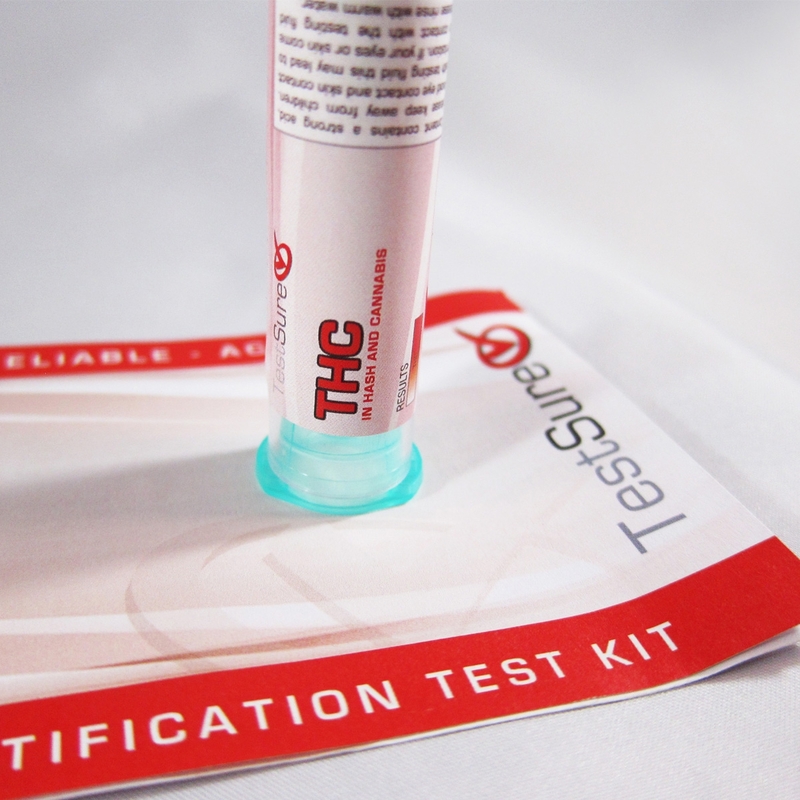 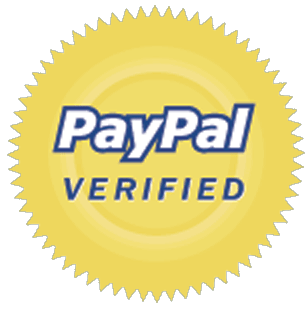 Click here to view/download our THC reagent test kit instructions. 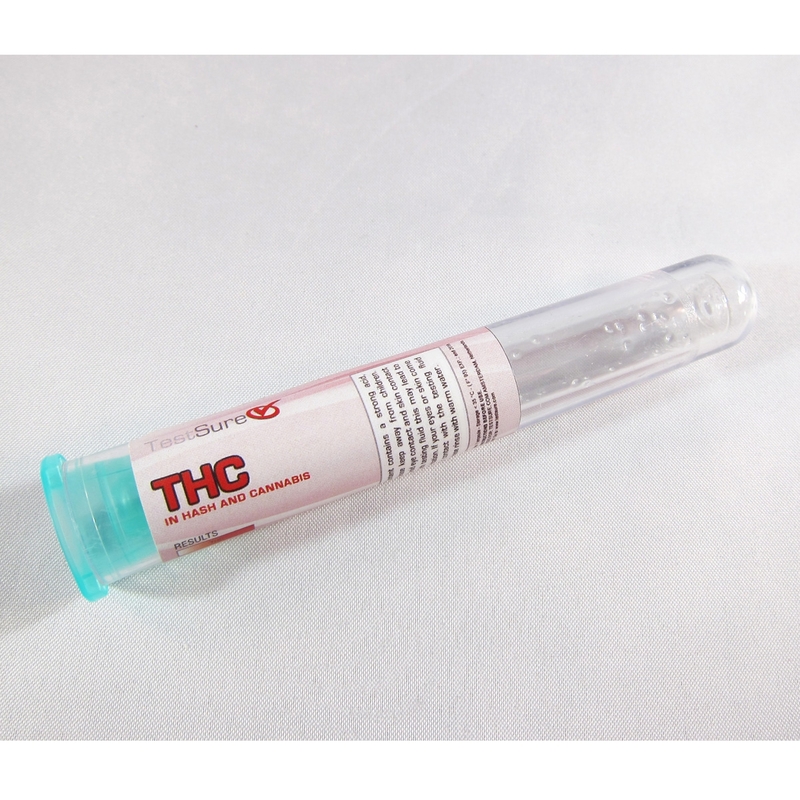 To determine if the substance being tested contains THC, compare the color of the liquid in the test tube to the color chart below. 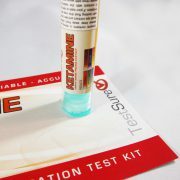 If any of the colors match, the substance contains THC. If it is showing a different color, or no color at all, the substance does not contain THC. 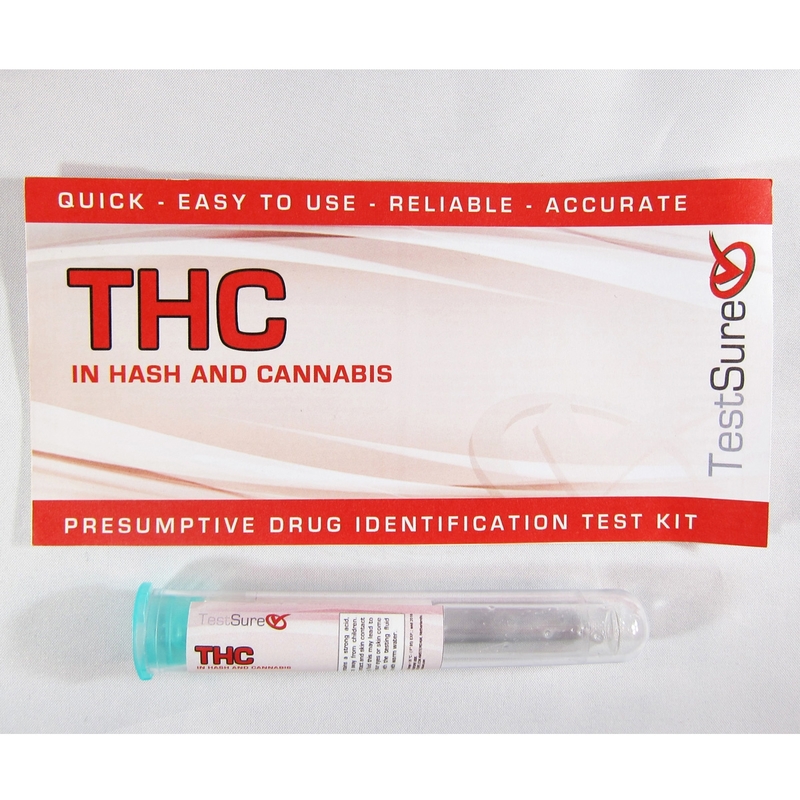 The deeper color red of the chemical reagent indicates a higher concentration of THC in the sample.